Wow! Your shawl is just beautiful -- i love the way it's turning out. The Valentines are cute too! Glad to hear the lace is going better! Mine has been playing second fiddle to my new sweater project. Best get back to the charts! The colors you are using are so pretty! Your ATC's are sweet and I love mine! Your shawl is turning out great. I love that yarn! Oh wow, so much work and it is so beautiful! I can't believe you make so many things. Love the trading cards and my favorite is the love one:) Have a blessed day my friend! I'm so glad that you like the shawl! Knitting lace can be such a pain, but it's really worth it in the end! I love your colors, and can't wait to see more! Your knitting is superb. Loving reading on the progress. Your ATCs are gorgeous. especially the kiss one! oh..passion again! The shawl is looking gorgeous! I love you lace shawl. Maybe bring it to show me on Saturday. I would love to take a closer look. I am so impressed. Thanks for starting our ATC group. I love it. 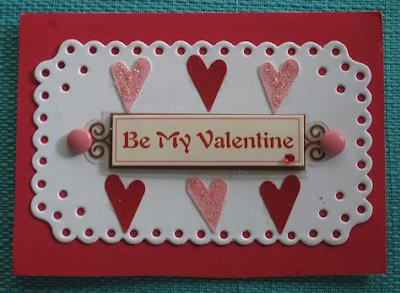 Your vintage Valentine ATC are beautiful and so sweet. 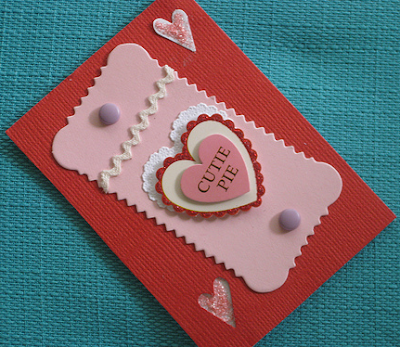 Love your cards and have to say that I am impressed with your shawl! Wow. It's really coming along. Love it!! Your ATC are very cute too. Great job. I love the colors in your shawl! The yarn looks squishy and soft, too. 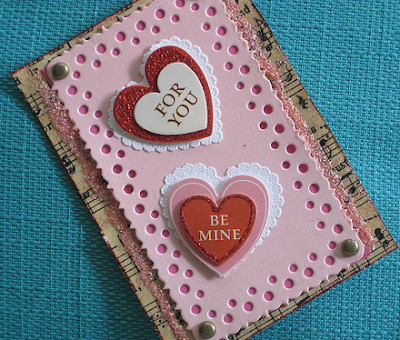 And the ATCs are really cool!